Lahaina Architects San Diego was established in 2007 by Architect Philip Cudaback. The company’s philosophy is to provide creative designs in a relaxed professional atmosphere while maintaining cost-efficient and forward-thinking solutions that exceeds our client expectations. With Lahaina Architects, you will not only find highly trained professionals, but you’ll find passionate people dedicated to providing superior customer service. 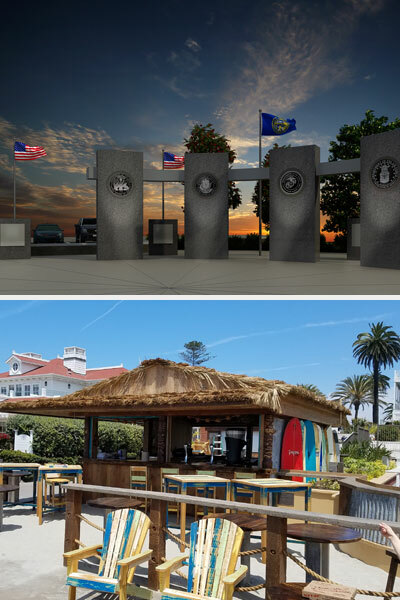 Lahaina Architects is one of the premier Architectural design companies in the creation of Entertainment, Mixed-Use, Restaurant and Commercial Tenant Improvements in Southern California area. Lahaina Architects have over 30 years of combined experience in these sectors. Our clients include local Restaurants operators, local and national retail tenants, real estate investors, property owners, large corporations, developers and public agencies. We currently serve clients throughout the western United States and are licensed in California, Colorado and Nebraska with the ability to be licensed in any state in the United States.